Arrive Lima. Visit the city’s sites, museums and restaurants. Fly Cusco. Explore Incan stone terraces at Sacsayhuaman, subterranean altars of Kenko, the water temple Tambomachay, and Puka Pukara fortress. Continue into snow-capped Andean peaks to your oasis in the Sacred Valley. Visit the isolated Amaru indigenous community in the Andes. Gather plants used as natural dyes and see the Amaru’s colorful textiles brought to life. Lunch with community leaders – or picnic amongst Pisac ruins – and hike down the mountainside to the region’s most vibrant market to bargain for wares. Mountain bike through colonial villages, down the Andes, to an ancient Incan laboratory, and amidst pre-Columbian terraced saltpans. Good for experienced and beginner riders alike. 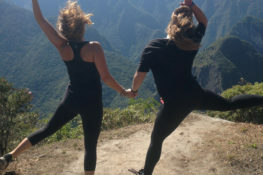 Day hike the Inca Trail through Andean cloud forest leading you to the Sun Gate and the magical Lost City of Machu Picchu. 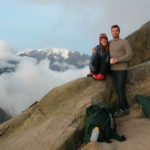 Revel at the sunrise from Machu Picchu and make the morning climb of Huayna Picchu mountain. Enjoy a complete guided tour of the site with time to explore on your own as well. Hop the train to Ollantaytambo and see a vast complex of Incan ruins on the mountainside. Enjoy lunch at an authentic colonial-era hacienda and a relaxing evening in Cusco. *Optional horseback riding on Peruvian Paso horses through hacienda and colonial town. Enjoy the day at your leisure exploring Cusco – a city where traditional Andean cultures, the colonial Spanish, and modern Peru fuse into one. Visit Korikancha – Temple of the Sun, shop at Andean markets, enjoy savory Peruvian cuisine and see colonial cathedrals built atop Incan foundations. *Optional whitewater rafting or culinary adventure. Fly to Lima and depart. 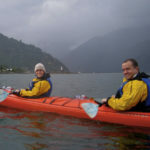 An ideal trip for adventuresome families and couples looking for an active trip that explores the best of Peru and ventures to little-known lands and cultures. Knowmad has vast knowledge and operations in Peru; this is a private trip and we are happy to modify excursions, accommodations, and the flow of the itinerary to perfectly suit your travel style and interests. Additionally, regional airfare is estimated at $400 (Lima/Cusco & Cusco/Lima—subject to change). Single supplement – rates quoted are per person, based on sharing double accommodations. If you request single accommodations you are required to pay a single supplement. Please inquire for single supplement costs. REGIONAL If booked by Knowmad Adventures, internal airfare for this trip (Lima/Cusco & Cusco/Lima) averages $440, however this is an approximation and the airfare is subject to change upon booking. If you would like to arrange your own regional flights, please consult us prior so we can verify the departure and arrival times. This trip takes place mostly in the Peruvian highlands. Throughout the year the average temperature is in the mid-50s °F (10-12 °C) and does not fluctuate greatly. Evenings are cooler. There are primarily two seasons: wet and dry. December through March sees much more precipitation than other times of the year and is the less visited season. As Peru has three distinct climate zones, if you are interested in combining this trip with a visit to the jungle or the coastal areas please inquire for more weather details. Upon arrival you’ll be met at the airport by a Knowmad Adventures representative and taken to your accommodations. Explore Peru’s diverse and delectable cuisine and visit some of the city’s many sights and museums on your own or, depending on your time, we can arrange a guided exploration of the city or you can learn to make ceviche with a top-local chef on a culinary tour. * Please note if arriving late as most flights from the U.S do it is best to stay at the airport hotel and not enter Lima. After your short morning flight to the former Incan capital of Cusco where Andean cultures come alive (don’t be surprised when the language doesn’t sound like Spanish – it is most likely the native Andean tongue Quechua), you’ll be met at the airport and taken for lunch. Departing for the Incan sights outside Cusco, you’ll visit the fortress Sacsayhuaman and its megalithic stone terraces; Kenko, with its carved stone surfaces and subterranean altars; the Puka Pukara fortress that protected the royal capital from attacks; and the water temple, Tambomachay. 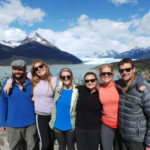 Continuing through the mountains with inspired views to the snow-capped Andean peaks descend into the Sacred Valley of the Incas and check in to your accommodations. Take the afternoon to unwind, explore Urubamba and acclimatize. 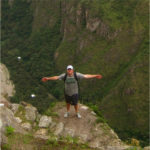 Stay for lunch with the Amaru or enjoy a picnic amongst the Pisac ruins that sprawl down the mountainside towards town. Afterwards we’ll hike along the high-mountain terraces and through the ruins before descending to Pisac – one of Peru’s largest and most vibrant markets – where you can bargain with Andean campesinos for hand-crafted wares. Return to your hotel for a relaxing evening. Departing in the morning, drive up the mountains towards Cruzpata where your adventure begins. Non-technical and mostly downhill, this world-class mountain biking adventure is great for those with and without experience alike. Traversing the altiplano landscape with sweeping vistas to snowcapped peaks over 16,000 feet high, you arrive to Moray – a little-known site thought to be an ancient Incan agricultural laboratory. a gourmet picnic lunch in the shadows of the Andes, continue on the downhill section to Maras where villagers still harvest the pre-Colombian terraced saltpans in the traditional way. From here you can choose to continue the descent down to the Urubamba Valley floor, hike an alternative trail, or return to the valley by van. Relax at your hotel in the evening with dinner at your leisure. Heading out early you’ll take the train along the Urubamba Valley to kilometer 104 where you’ll begin hiking the Inca Trail. Crossing a foot bridge you pass Winay Wayna ruins with its extensive terracing and water fountains. Another gourmet picnic along the trail will have you refueled. Hiking a total of approximately 5 hours you finally edge along a ridge to catch your first dramatic views of the Lost City of Machu Picchu from the Sun Gate Inti Punku during the late afternoon. From here you’ll descend towards the citadel taking in the amazing site and reunite with your van that takes you down to Machu Picchu Pueblo for a relaxing evening. Early risers can watch the sunrise from the Machu Picchu citadel or make the early morning climb of Huayna Picchu mountain. This incredibly vast archeological site – lost to the world until well into the twentieth century – is perched amongst Andean peaks and lush cloud forest making it one of the most breathtaking sights in the world. You’ll have the opportunity to get a complete guided tour of the site as you begin to unlock the mystery of the Inca, and will also have plenty of time to explore the ruins on your own. Lunch at the adjacent Sanctuary Lodge means you’ll be able to enjoy the whole day without leaving awe-inspiring Machu Picchu. Return to Machu Picchu Pueblo for the evening. Or with more time, extend your trip with a visit to the Amazon or Lake Titicaca. Besides being the highest navigable lake in the world, Lake Titicaca is home to diverse traditional cultures including the floating Uros civilization, the Quechua people of Taquile Island, and the Amaru peoples. Come and meet them at the top of the world. Want to spend more time exploring this great city? 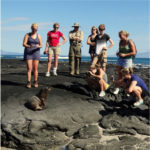 Besides getting you a great value for hotels and airport transfers, we can line up a fantastic cooking lesson and culinary city tour, full and half day sightseeing adventures, surrounding ruin visits and much more.